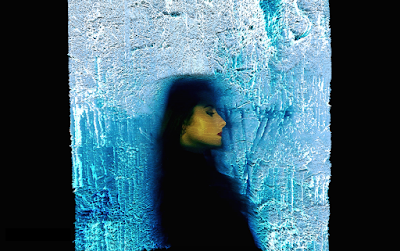 London bred and now based in Berlin, artist/songwriter/producer LAMIA asserts herself from the overly crowded space of glossy electro-pop and offers insightful and vividly rich songs. From indulging the creativity of thriving music scenes in London, Leeds and Berlin, LAMIA has forged a modern style of trip-hop influenced production, captivating influences ranging from Billie Holliday to A/T/O/S. Released through Dance to the Radio (The Pigeon Detectives, High Tyde), LAMIA latest effort ‘Not Mine’ was mixed by James Kenosha (Ministry of Sound, RHODES, Liu Bei). Following the release of LAMIA’s first single ‘Wounded Pride’ she has picked up a number of thrilling achievements. From being selected for the BBC Introducing Showcase in 2016 and performing at Live at Leeds this year with support from Huw Stephens (BBC Radio 1), NTS Radio, BBC Introducing West Yorkshire and Amazing Radio. Her artistry has been featured on the likes of: The Independent, Clash and Counterfeit Magazine. We are fortunate enough to be premiering LAMIA’s co-directed music video for her single ‘Not Mine’. The surreal video captures LAMIA’s jarring yet beautiful electro sound poignantly. Distorting between truth and considered reality, ‘Not Mine’ is a step a way from the considered reality. With female director Miri Stevens, she utilises abstract visuals to communicate powerful and intriguing messages that explore the ability of the human mind to retreat into preferred ideals and beliefs away from realities’ harshness and truths. LAMIA comments more “Not Mine is about ideals overriding reality and the attempt to compete with a version of yourself within another’s mind. It explores the power of the human psyche to live through what you want to believe, rather than what is actually there”.